Overview : Second Generation architecture with all the features of the First Generation. Built-in microSDHC slot which supports up to 32GB. Also includes ON/OFF switch to be used with PS3 Slim only without the need to constantly unplug power cable. Second Generation Architecture with all the features of the First Generation. High speed 32 bit CPU processor clocked at 500MHz. All P3Go's are fully updatable via USB on your Windows PC using a very simple and intuitive process. A microSDHC slot is built-in which supports up to 32GB for future expansion. Made out of high quality, durable polymer which has been built to last. P3Go is regularly updated to provide our users with the latest features at no extra cost. Simple step-by-step guide available on the site will show you how to use and install P3Go and our support team will assist you with any problems you may encounter along the way. 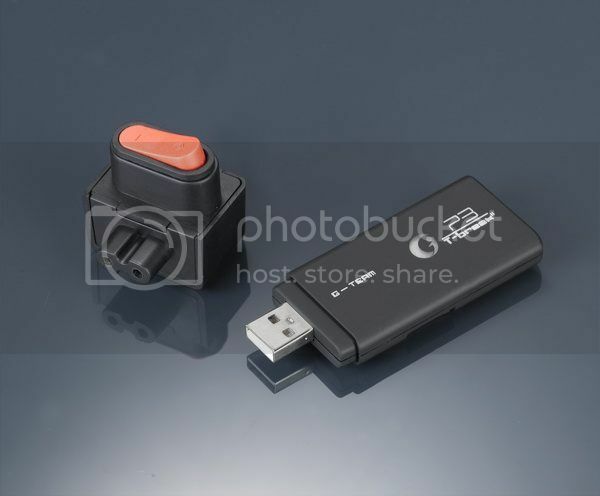 100% Solderless solution – USB Plug and Play solution that installs in seconds without the need of opening up your PS3. The P3Go can be removed from the PS3 once started. Does not break any warranty seals i.e. your PS3’s warranty would remain intact after use. Compatible with all PS3 models – Fat and Slim. Supports all PS3 regions: USA, JAP, PAL and KOREA. Optimized and enhanced firmware which has been developed in house by our programmers. Supports all games and homebrew applications available at the moment. Easy-to-use software for backing up, managing, and playing games from external USB Hard Drive or the internal Hard Drive your PS3. Playing games from HDD gives you loads of benefits, including faster loading times and reduced strain on the lens of the Bluray drive of your PS3. Supports installation of homebrew applications on PS3. One time installation – Plug & Play and forget. Allows you to recycle power on your PS3 Slim without the need of unplugging the cable from the back of your console. Made out of high resistance polymer which is fireproof and has been built to last. When I first read and saw pictures of the P3Go, I was a bit skeptical as with probably a bunch of gamers. Was this another hoax or maybe another cheap clone to take advantage or us gamers and to make a quick buck. Well after receiving our sample, its legit. The dongle itself is fairly thin but is definitely wider and bigger than the other USB jailbreak dongles out on the market. The P3Go GT-Break II case has a rubber texture feel to it that gives it some grip. And yes, the "G" logo does actually light up! But what about what they advertised? Let's just say, I'm impressed and I'll describe why in this review. YES, it does indeed have 128MB of memory. I know, thats insane! Like all storage devices, after being formatted, you don't get the true 128MB. When the P3Go GT-Break II is plugged into the USB port of your computer, there are two removable disk drives that show up. The first is the onboard memory that actually has 90.1MB of total space and the other removable disk drive is the microSD(HC). For the onboard memory, of that 90.1MB of total space, only 38.4MB is left. Where did all that space go? Well the first 38MB that is not recognized is from formatting and bootloader. But not only is the P3Go GT-Break II a jailbreak device but it acts as a USB thumbdrive as well and thats where 51.6MB has gone to. The P3Go GT-Break II actually comes with files already pre-installed (as shown above) such as FTP, GAIA manager, Open Manager, Backup Manager and even their own Open Manager. However, its just a rebadged Open Manager with their logo. The folder "PS3_GAME" contains cover images and Open Manager related files. So there really is no need to save your homebrew applications on a separate thumbdrive or external harddrive. We'll discuss more about the microSDHC slot further into the review. Even though it comes preloaded with files, its always best to download the latest files from their Downloads page. This ensures that you have the latest versions of applications. At the time of this review, our P3Go contained files from 10/22/10. They released a new file on 10/26/10. This new file contains files for Hermes v4b and KaKaRoTo PL3. Download latest file and look for "update.bin"
The updating progress is over! TF or Storage Driver must be formatted into FAT/FAT32. Don't remove P3Go while updating progress. update.bin file will be deleted automatic after updating. If red light shines for a long time means updating failed, you must check your file or hardware for issue. Don't use USB HUB for Storage Driver. IMPORTANT: The console must be completely switched off before using P3Go. For fat versions, use the switch at the rear. For slim versions, if you have a "G-Switch", it will be more convenient to operate just like the fat PS3. This is extremely important for the process to work correctly when you start the console. Cut off the power of your PS3. For the fat PS3, press the power off button on the back. If you own the slim, disconnect the power cable from the system. If you have a "G-Switch", it will be more convenient to operate just like the fat PS3. If you want to load Hermes payload, plug your P3Go into any of the PS3 USB slots. Be sure that NO microSD(HC) is in the slot. If you want to load PL3 payload, you will need to insert a microSD(HC) into the slot or else it will automatically boot into Hermes. Turn on your PS3 and press the Eject button very quick (most important). While booting P3Go, it will light up and flash blue and red. When the blue light is on instead of flashing, it means booting progress is over and the jailbreak is successful. You will also see “Install Package File” in the game menu. What makes the P3Go stand out and unique from the rest of the USB jailbreaks other than the 128MB memory and microSDHC slot, is that you are able to boot both, Hermes v4b and PL3 without having to reflash. 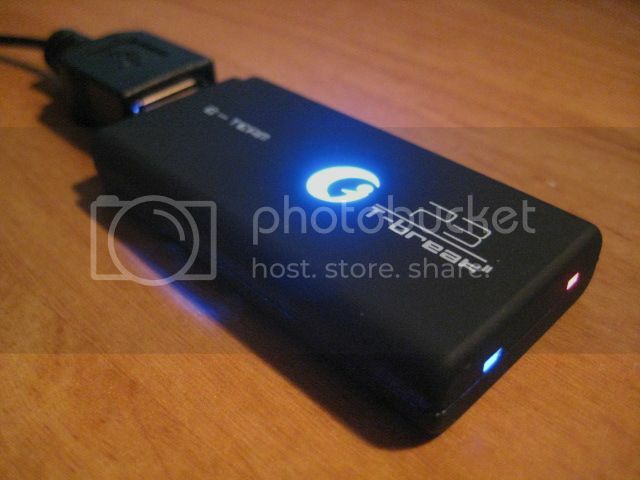 To boot in Hermes mode, simply plug P3Go GT-Break II into PS3 with NO microSDHC in slot. If you want PL3, just insert microSD(HC) into the GT-Break II. As you can see, inserting a microSD(HC) acts as a switch between the two payloads but is also a storage device. For the microSD(HC) to be recognized as a storage device, it would need to be inserted into the GT-Break II after the PS3 has been jailbroken. But the TF card is only recognized under MUSIC, VIDEO and PHOTO. It is not recognized under GAME. The microSD(HC) slot is spring loaded so it makes removal of microSD(HC) cards very easy but if you have the PS3 in a vertical position, the microSD(HC) slot is aimed down. So inserting the microSD card with the dongle in the PS3 can be a little tough. Recently we will upgrade a very meaningful extended function to fully reflect the structural and capacity advantages of P3GO. We will use a simple method to realize a very special function in P3GO. (We are so sorry that we can not tell the function at present.) We believe that our products will better than others, and we will bring more functions to your love machine! At that time, we will also open some source code, and we will give our technical customers development kit for the P3GO. In another word, if you like, you can compile your own firmware to the P3GO, and not need the official update. Please just waiting, we are coming soon…. Conclusion : Overall, the P3Go GT-Break II USB microSD SDHC is probably one of the nicest and sleekest PS3 jailbreak dongles out on the market. You get best of both worlds with payloads without having to reflash each time. If you want KaKaRoTo PL3, you will need a microSD(HC) in the slot. Granted, not everyone may have a microSD but everyone should have atleast one whether it be from an old phone, camera or DS flash cart. If you insert the microSD(HC) card after the PS3 has been jailbroken, the TF card is recognized under the MUSIC, VIDEO and PHOTO but not under GAME. Another great thing is the 128MB of memory. This makes the GT-Break II a great all-in-one. You can install all your necessary homebrew applications and payloads all in one USB dongle. The included G-Switch is also nice especially for those who own a PS3 Slim but would do no good for those who own a PS3 fat. But PS3 fat owners can either hold onto it incase they get a Slim in the future, give it to a friend who owns a Slim or sell it. Even though the soldering job of the G-Switch isn't clean, it still works. Not only do buyers look for great products but we also look for great support for the products we buy. There has been a few updates already and the G-Team has been quick to release the new updates. Out of all the jailbreak clones on the market, this is by far the best bang for your money...once they allow open source and the ability to load your own files such as .hex and .bin. Retailing between $24.00-$26.00, not only do you get a 128MB USB jailbreak device that supports up to 32GB microSD(HC) but you also get a ON/OFF switch. Even if you have no need for the switch, its still the best bang for your money.